Munich’s traditional beer halls, no-nonsense welcome and world-class museums have put it firmly on the map for weekend travellers. Three days is time enough to see some of the best Munich attractions – from The Englischer Garten to the Nymphenburg Palace as seen in the photo above in all its splendour and glory. If you’re looking to get your fill of culture, arts and good old German tradition, here are three places to visit in Munich Ost. An installation at Museum Villa Stuck. Photo by Thomas Cloer. Museum Villa Stuck is one of the more quirky things to do in Munich. Originally home to the painter Franz Stuck, this historic house – built in 1898 – is a work of art in itself. Classical on the outside and staunchly art nouveau on the inside, this house of contrasts is home to art through the ages. Take a tour through the lavish rooms to learn about Stuck’s vision. 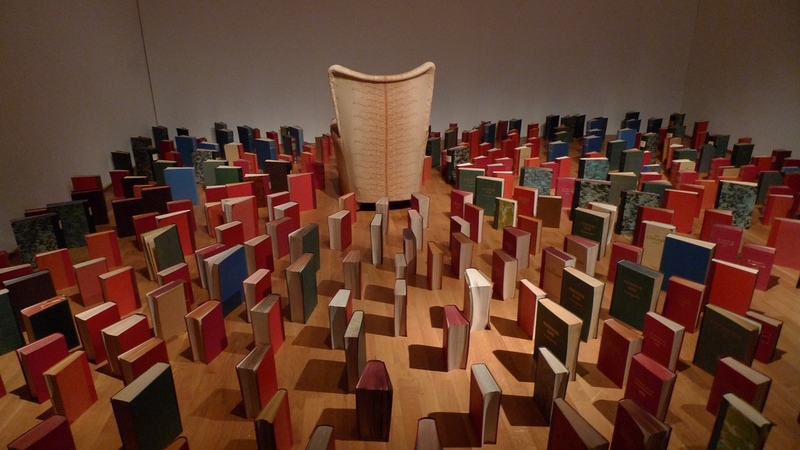 As an artist, Stuck was taken with myth and legend; today, exhibits focus on avant-garde and contemporary works. The museum opens late on the first Friday of every month – a great way to start your weekend. Continue the art nouveau theme into the night with a trip down Franz-Joseph-Straße. This regal street is lined with colourful art deco masterpieces. Then round off your evening with a sumptuous steak at the nearby Panther Grill & Bar. Wondering what to do in Munich during the daytime? 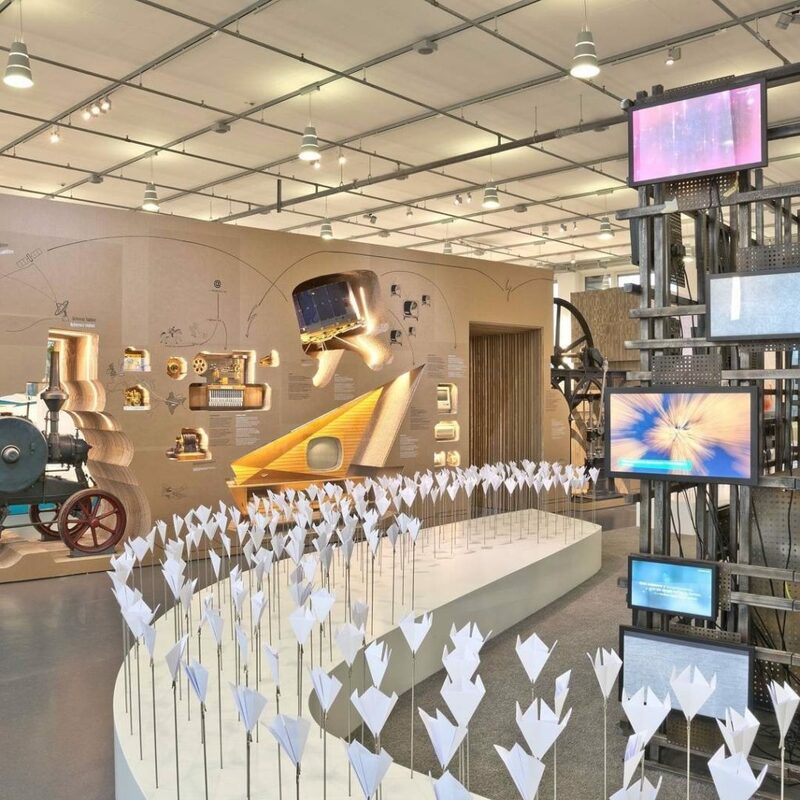 Pop down to the Deutsches Museum – the biggest science and technology museum in the world. Its elegant, turn of the century architecture belies its true nature as home to some of history’s most impressive feats of science and technology. Throughout the year you’ll find exhibits on everything from aeronautics and physics to music and ceramics. Don’t miss the story of the museum’s history itself, as well as the ever-popular high-voltage demonstration. Deutsches Museum attracts thousands of visitors every year – if you’re keen to beat the crowds, heading there first thing on a Saturday morning is your best bet. After a full morning of exhibits, you’ll be keen to rest your legs and fill your belly. Head to Dreigroschenkeller on Lilienstraße for a true German beer hall experience. Order a stein and a plate of Gröstel and settle in for the afternoon. Feringasee from above. Photo by Raupach. With your eyes fixed on the breathtaking Munich skyline, you’d be forgiven for overlooking the Feringasee. Once you stumble upon the perfect sapphire waters, though, you’ll be glad you didn’t. Lazing by this tranquil lake is one of the most relaxing things to do in Munich. The lake is a favourite with locals, especially in the summer months, when crowds of sun worshippers and swimmers dot the edges of the lake with picnics and ball games. Bathers will find balmy waters in the southern part of the lake, while thrill-seekers should head to the northern shores for a variety of water sports. 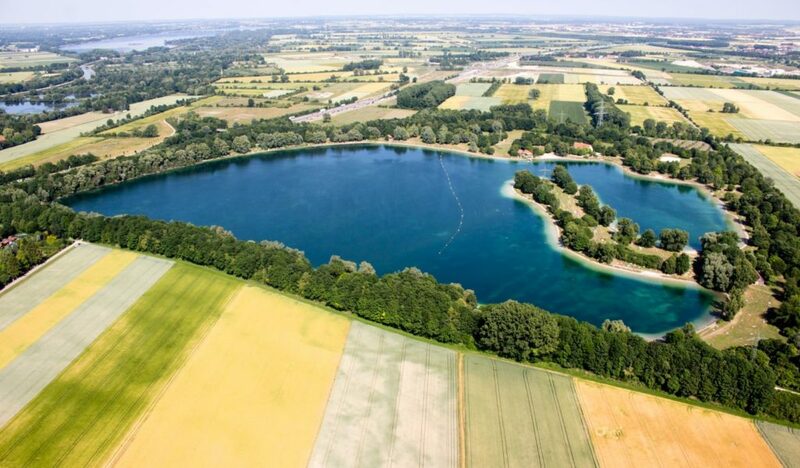 With waters this calm, it’s certainly worth trying your hand at a spot of fishing, or cycle along the edge of the lake for views of the surrounding patchwork fields. Visit the lake on a Sunday afternoon for the perfect end to your trip – the calm before the storm of the airport.